At the biggest medical complex in the world, hard-won lessons learned from Tropical Storm Allison kept Hurricane Harvey’s floodwaters at bay. 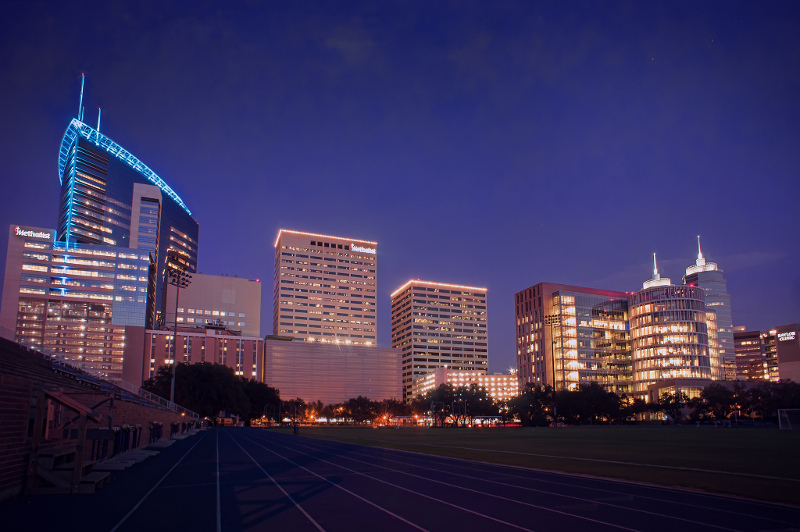 A night skyline at the Texas Medical Center in Houston. Photo: Katie Haugland Bowen. License: CC BY 2.0. Just after midnight, the skies opened. Hour after hour, for three hours, a relentless deluge hammered Houston’s Texas Medical Center (TMC), causing nearly $2 billion in damage. Hundreds of patients had to be evacuated. No, we’re not talking about Hurricane Harvey. It was nearly 16 years earlier, in June 2001, when Tropical Storm Allison struck the city. “It was, at that time, one of the largest, most damaging urban floods in U.S. history,” said Philip Bedient, a civil engineering professor at Rice University. In the wee hours of June 9, 2001, Tropical Storm Allison dropped about 12 inches of hard rain in just a few hours on the TMC—a lot of rain in a short period of time. “It was the intensity of the rainfall in Allison that was so devastating,” Bedient said. 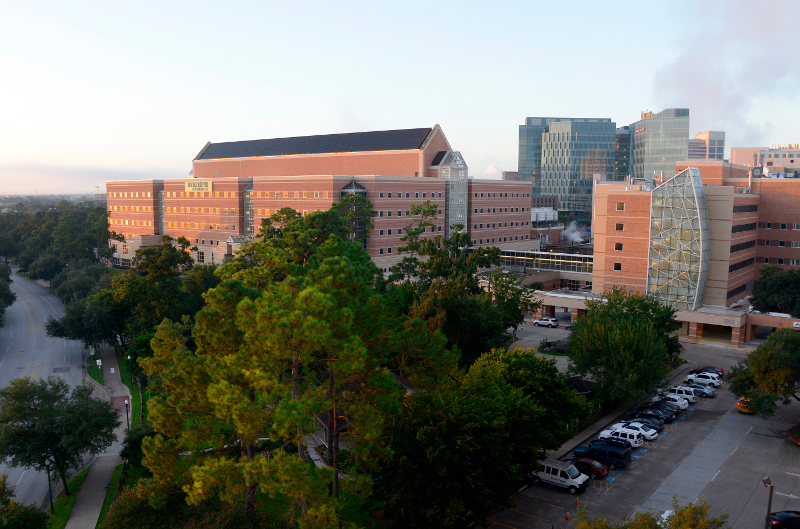 Ben Taub Hospital sits on some of the highest ground at the Texas Medical Center in Houston. This is the story of how two hospitals at the medical center fared during Tropical Storm Allison and, years later, during Hurricane Harvey. Ben Taub and Memorial Hermann hospitals are both Level I trauma centers, critical facilities which treat severe injuries such as gunshot wounds, motor vehicle crashes, or emergencies like heart attacks. Ben Taub Hospital sits on the highest ground at the medical center and its emergency generators are elevated outside on four-foot concrete pedestals. These two factors meant Ben Taub never lost power during Tropical Storm Allison. Other hospitals, such as Memorial Hermann weren’t as lucky.